I expect to be absolutely thrilled by experiencing one of my favorite games of all times in HD. I was always a bit annoyed at the low resolution when playing the Wii version. I expect to be thoroughly confused throughout the game by the mirroring. The Wii version’s lefts and rights are firmly entrenched in my neural pathways, and now I’ll be playing the original GameCube chirality, so to speak. I have no idea how this will impact how I feel about the game in general. I expect I’ll finally have a pleasant only mildly annoying experience hunting Poes once I get the Ghost Lantern, which means I won’t have to wait for night or hurry to get that Poe before dawn breaks. I have no idea how to get the lantern, but I’m guessing I’ll get it from Jovani after a certain amount of Poes. 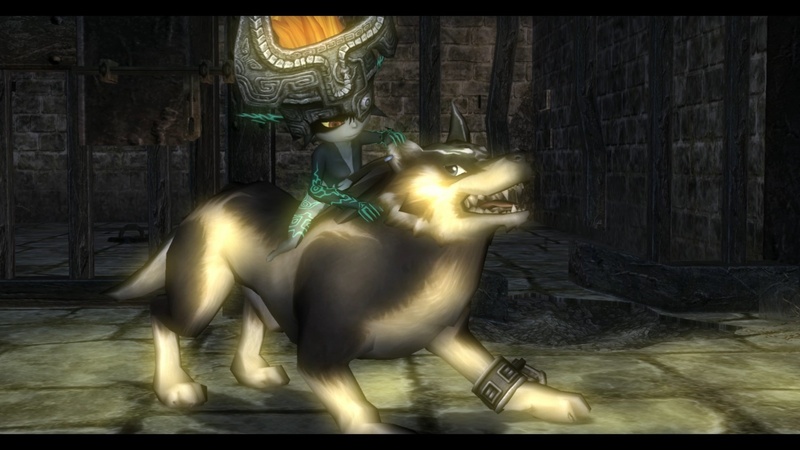 I expect to be updating my Twilight Princess Optimal Equipment Guide. At least because of the Ghost Lantern. I have no idea if there is anything else worth including in the guide, but I’ll be keeping an eye out for new worthwhile tidbits here and there. I expect to be extremely annoyed at the Miiverse stamps scattered throughout the game. I mean COME ON, Nintendo. Way to go in breaking the immersion. I want to firmly root myself in Hyrule and live and breathe the Zelda atmosphere, preferably without being brutally uprooted every now and then because some PR folks thought including non‐​game (or meta‐​game) content in an otherwise immersive game was a Great Idea™ and would give them reasons to throw around nice buzzwords such as user engagement and customer retention among the Big Shots. It’ll make the experience worse for me – that I can guarantee, as much as I can guarantee that the stamps will never be added to my equipment guide. I expect to feel my TV is way too small. I won’t buy a new one yet, so I may end up moving from my comfy sofa to a slightly less comfy chair much closer to the TV to fully enjoy all the details. I expect I won’t notice much of the fact that the music hasn’t been upgraded. While I would LOVE a proper symphonic treatment, I don’t think I ever reacted to poor audio quality in the original game, and I suspect I won’t this time around either. Diving in now. Wish me luck!